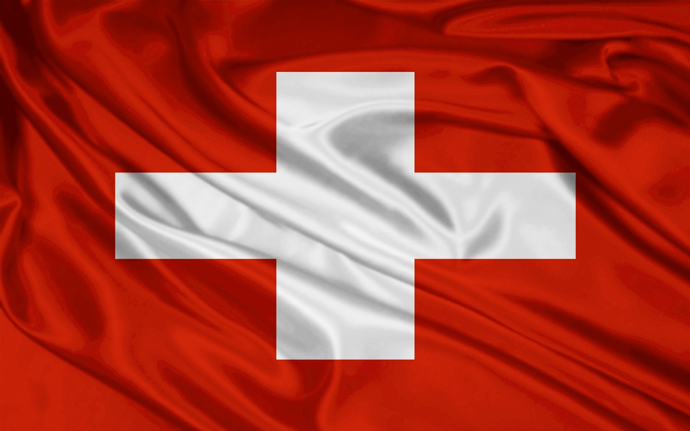 It is no secret that today Switzerland is one of the most stable trading partners of Russia. And for the Swiss side, Russia is part of the seven priorities in the cooperation in the scientific field, where a new phase of development is expected after the signing of the bilateral treaty on cooperation in science and technology. At the end of the 2012, participants of the Inter-Parliamentary Group on Development of Relations with Switzerland, representatives of the business community and rectors of some technical colleges, having visited several Swiss cantons, laid the foundation for further expansion of partnership. The head of the visit was Vladimir Gutenev, First Deputy Chairman of the Committee of the State Duma of the Russian Federation on the Industry and First Vice-President of the Russian Engineering Union. This thesis of the head of the group has formed the basis of an extensive program of meetings in Switzerland. One of the first conversations was focused on the development of the industrial sector. Here a speech was presented by Yuriy Khromov, Vice-President of the Russian-Swiss Business Club. He noted that the most active part in these processes is taken by the Embassy and Trade Representation of Russia in Switzerland, Russian Engineering Union, and Swiss Association of Mechanical and Electrical Engineering Industries (SWISSMEM). And during the visit to the Swiss Centre for Electronics and Mycrotechnology, which links science with aerospace, pharmaceutical, automotive, and watch industries, the Russian delegation has come to the conclusion that the establishment of partnership with it can lead to the transfer of Swiss technology to Russia. Already at the meeting with the members of the Switzerland - Russia Friendship Group, Vladimir Gutenev emphasized that the partnership between the countries must lead to tangible economic results. However, the share of the Russian market represented by Swiss manufacturers is still not large enough. «A number of industrial enterprises in Russia are under large-scale modernization, so we are interested in the presence of traditionally high-level Swiss products in our market in the wider scope», he added. In the Swiss Parliament Russian delegates identified the priority areas for cooperation. Aleksandr Fokin, a member of the Committee of the State Duma of the Russian Federation on Natural Resources, Environment and Ecology, representing the United Russia party in the lower house of the Russian Parliament, called on Swiss companies to work together in the field of environmental security and enter the register of the best available technologies in the field of natural resources, which will then be implemented by Russian companies. Dmitry Savelyev, Deputy Chairman of the Duma Committee on Financial Market from the Liberal Democratic Party, said that Moscow is going to create the International Financial Centre, and Switzerland, as a recognized leader in the field of finance, could act as a consultant in this area. Nikolay Lakutin, a member of the Committee on Property, representing the Fair Russia party, has expressed the interest in sharing experiences on the management of property - Federal in Russia and cantonal in Switzerland. Aleksandr Abalakov, a member of the Committee on Regional Policy and the North and Far East from the Communist Party considers it necessary to develop direct contacts between Russian regions and cantons of Switzerland. Philip Lombardi, the new Chairman of the Upper House, the Head of the Council of Cantons has expressed the willingness to fruitful cooperation in economy, education, health, and culture. Besides he considers himself «not a stranger in Russia». «As President of the local hockey team, I am responsible for the conduct of a series of friendlies in Switzerland, where the coaches and players speak about legendary Russian hockey players», Lombardi said. The next destination of the delegation of deputies of the State Duma has become the most important financial centre of the world - Zurich. The canton Zurich needs no introduction. Every 4th franc is earned here, 40 percent of all people employed in banking are working in Zurich, this north-western Switzerland Canton produces 20 percent of the GDP of the country. But here they were talking not only about finances. Marcus Kaegi, the Chairman of the Board of the Canton, emphasized that, due to the correct policy in the sphere of natural resources, in Zurich drinking water may be taken without any risk to health from any body of water. Today cleantech - or clean technology - is one of the priority directions of development in Zurich. Particular attention is paid to innovation. In cooperation with Russia, for developments in this area they give a Suvorov Prize. Russian commander is especially revered here, reminiscing about his successful military operations that saved Switzerland from the attack of French military forces in the 18th century. In the past year the Suvorov Prize was awarded to one of the projects in the field of Information Technology, presented by the Novosibirsk region. In their turn, the Russian parliamentarians remembered the possibility of the exchange of experiences at the bilateral Innovation Forum, which will take place in Lausanne in May this year, and at the coming international youth industrial Forum «Engineers of the Future» in July. The relevant question about the development of interaction between young people of the two countries and cooperation between universities was discussed with President of High Tehnical School in Zurich (ETN Zurich), Professor Ralph Eichler. His interlocutors were Boris Yakimovich, Rector of the Izhevsk State Technical University, and Mikhail Krishtal, the Head of Togliatti State University. «There are areas where our country is a traditional leader. But there also are areas in which the Swiss High School could provide substantial assistance in training specialists, so much needed in Russia now, when it has become a member of the WTO», Vladimir Gutenev said. Over two centuries, ETH Zurich has won a high reputation in the academic society. The educational institution is on the top of the European and global rankings. Its graduates are 21 Nobel Prize winners, including Albert Einstein and Wilhelm Conrad Röntgen. Today the school has become a centre for scientific and technical research of the highest level. «In Switzerland, science and education are the national priorities, so we have adequate funding from the state and non-government sources», said Professor Eichler. «This allows us to gather here the highly skilled teaching staff and achieve outstanding results in scientific research». Russian Economic Integration with foreign partners is facilitated by the International Youth Industrial Forum «Engineers of the Future» held by the Russian Engineering Union which gives an opportunity for participants from various countries to obtain not only the necessary knowledge and skills, but also the future partners for cooperation. This project for training young professionals has caused much interest in our Swiss colleagues. Moreover, the representatives of the ETH Zurich have considered the partnership with one of the Russian universities promising. Following the visit Vladimir Gutenev, the Head of the delegation, expressed the hope that the Russian-Swiss meetings will not be formal, and acquire a specific focus. That close cooperation between the countries, which we have in disarmament and assistance in Russia’s entry into the WTO, shows a deep understanding between us. However, to form a comfortable business environment we need advanced relationships in different areas. «Along with political contacts and cooperation in culture and art, priority must be given to communication in education, science, production and industrial cooperation, environmental research, and regional cooperation», he stressed. The Friendship Club’s visit to Switzerland showed that such meetings are laying a solid foundation for the successful development of the relationship and joint projects.